WordPress offers a huge directory, currently including more than 40,000 plugins. There are some plugins that already won trust and popularity within the growing WordPress community. They offer great features and functionalities that can be extremely useful for your website and your website visitors as well. These plugins are great, but I also want you to know about 5 WordPress plugins, which can really add value to your website and help you to get noticed in so many ways. Let’s get started and go the list to learn about WordPress plugins you probably didn’t know about. 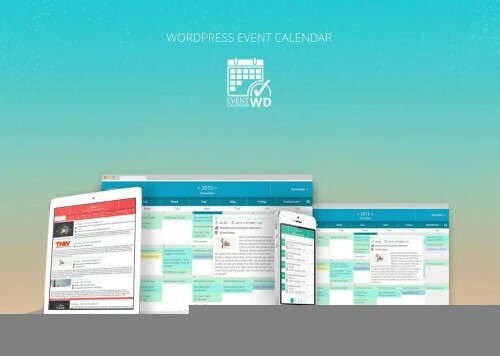 This WordPress calendar plugin is developed to help you to add an event calendar to your website for displaying events you organize for your visitors. It’s highly responsive, giving you a list of functionalities to manage events on your website, and spread awareness about them by giving detailed description. 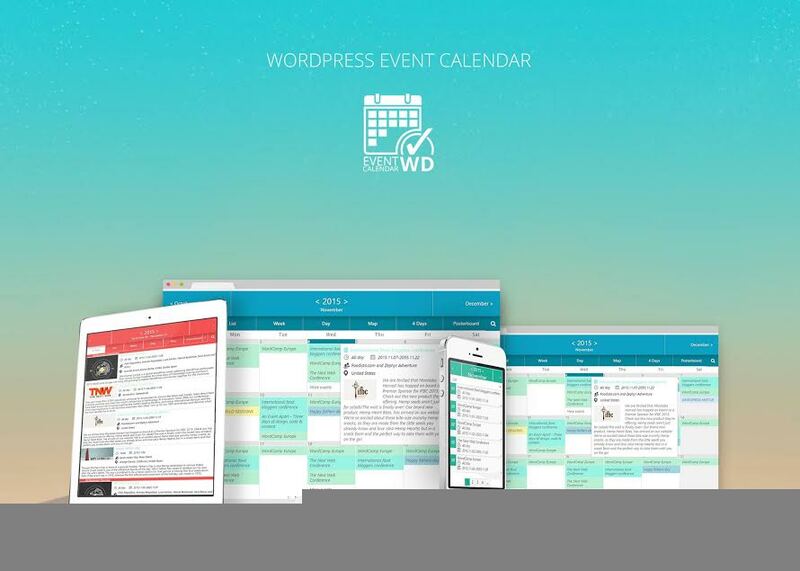 With Event Calendar WD you can create as many events and calendars as you need. There is an option to add event categories and tags, so that your audience can easily find the ones they are interested in. The event search feature will enable your website visitors to search for particular events and they can also share them on social media. There are several great view options for displaying events. Map view and Posterboard views are the options, which are unique and will definitely draw a lot of attention to your events. The calendar can display one or multiple events per day, and even automatically show recurring events if you set the period for event repeating. It’s SEO friendly and will ensure you events are among the event listings in Google search. There are 10 add-ons that Event Calendar Plugin provides, which will give you additional functionalities for your events organization and management. It is the best option if you are looking for a calendar plugin. 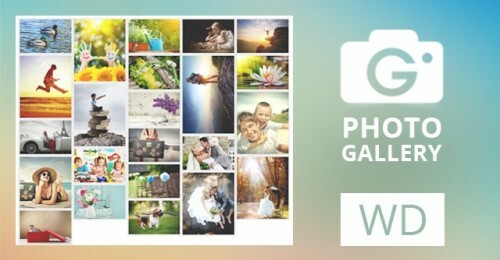 Showcase your images, albums and image galleries with WordPress Photo Gallery plugin and never have a chance to regret it! It is an excellent way to organize your visual content and provide the best user experience for the viewers. It provides the possibility to display your images in different views and make all the required customizations. In addition to view options, it has several widgets that you can add to your posts and pages. You can provide detailed description and tags for images, and change the thumbnail layout. The images can also be uploaded from your website’s media library. Right click protection will protect your visual content from downloading. It supports uploading videos to your galleries from YouTube and Vimeo, and you can also showcase your Instagram images. WordPress search integration will enable your website visitors to search for albums and galleries within your website, and you can also add a search box on a particular gallery page. Your visitors can comment under images with CAPTCHA protection, and also share your albums and galleries on major social networks. It also comes with editable themes, Facebook integration and Import/Export add-ons, and a way more features worth trying. If you want to best showcase your visual content then WordPress Photo Gallery is a must have plugin. This WordPress slider plugin is one of the best slider plugins available in WordPress directory. It stands out from its counterparts with its advanced functionalities for creating highly responsive and configurable sliders for websites. It allows you to add both images and videos to your slides and use various transition and layer effects. You have 3 main options for image uploading (image URL, media library and Slider WD media upload for multiple image uploading), and you can also showcase your Instagram, Flickr and Dailymotion images. Videos can be added from YouTube and Vimeo, as well as, uploaded from your computer’s media library. The sliders can be added to any of your website page and post, and can be displayed as widgets. There is a text and image watermarking option and right click protection to disable image downloading. You can change the images on the slider using bullets and you also have the possibility to change the style and design of the bullets and navigation buttons. There is a social media sharing function available and support for custom CSS to add additional styles to your slides. There are much more features to Slider WD plugin that you’d greatly benefit from using. So, head over to WordPres.org and get you function-rich Slider Plugin. WordPress Form Maker plugin is the most efficient and functional form builder plugin ever existing in WordPress directory. It will help you to generate various kinds of forms for just any purpose: surveys, bookings, questionnaires, applications,registrations, etc. You can add different kinds of form fields to get almost any kind of information you need. There are text input fields, time and date, country select, checkbox field for multiple choice questions, map field to show locations on Google Maps, PayPal field and many many more. It comes with 41 editable themes, form layout changing option, data validation option, form pagination possibility, etc. You can save and edit pre-installed forms available in the plugin to meet your needs and use them for any purpose. The “Submissions” section provides relevant information about the submitted forms and form submitters, such as the date and time of the submission, IP address of the submitter, number of submitted forms, etc. There are still a sea of features and functions that WordPress Form Maker plugin has to offer. 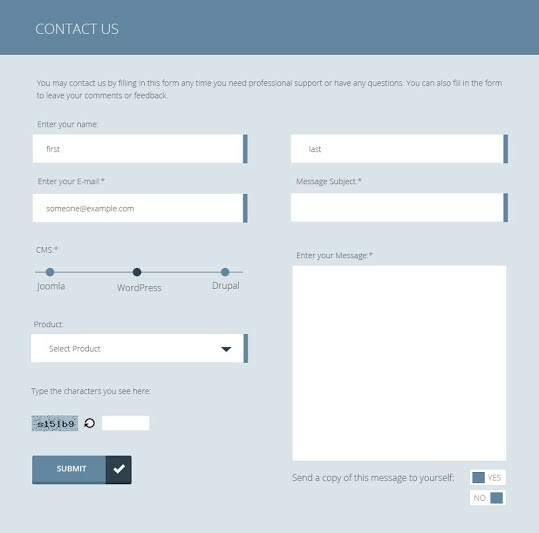 If you need a form builder plugin on your website, this one is a perfect choice. Generating readership and gaining active visitors actually requires hard work, but the good news is that you can figure it out with the help of All in one SEO pack plugin. It will make sure your website is not crowded out of search engines by helping you to optimize it according to SEO requirements. You can customize search engine settings for any page and post on your website. It will help you to specify your homepage title and write a meta description for your website, using the most important keywords that most relate to your website. Under the keyword settings you can select the ways you want the plugin to handle the keywords for different posts and pages. You can manually add keywords to your posts or enable the plugin to automatically insert meta tags, keywords or categories as well. The plugin has an option of setting default title templates for every page WordPress generates. The title rewriting is a great feature, which helps the plugin to work well with any theme settings. It also allows you to add Google and Bing Webmaster tools to your website, which will notify you in case something went wrong with it. NoIndex settings will allow you to enable/disable the indexing/no indexing of archives, categories and tag archives, which is a great feature from SEO perspectives. I tried to introduce to you these function-rich WordPress plugins, that will enable you to enhance different aspects of your website. Don’t hesitate to head over to WordPress directory and get the ones you got interested in. In case of any questions, feel free to leave a comment, I’ll be glad to help you.